Check out the online tutorials and learn pro-desktop. Note: You will need adobe acrobat reader (its free!). Pro/DESKTOP is a 3D modelling tool for designers and students. 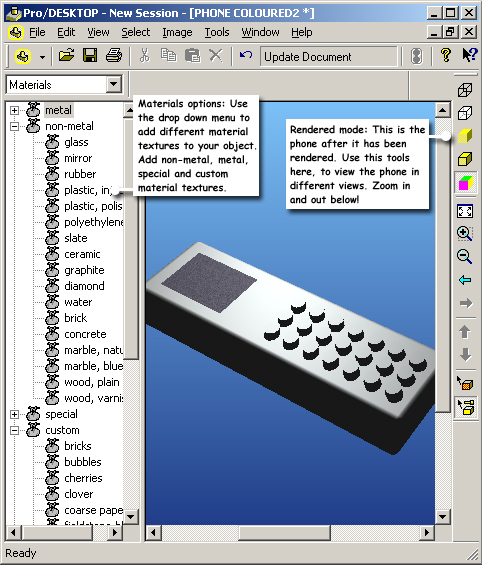 Pro/DESKTOP is used by designers and engineers to model products in three dimensions. Create designs in an easy and flexible manner. Pro/DESKTOP allows engineers, designers and students to explore fully their product ideas. When you become used to the 3D modelling, and you need to do more with Pro/DESKTOP you can move onto Pro/ENGINEER. 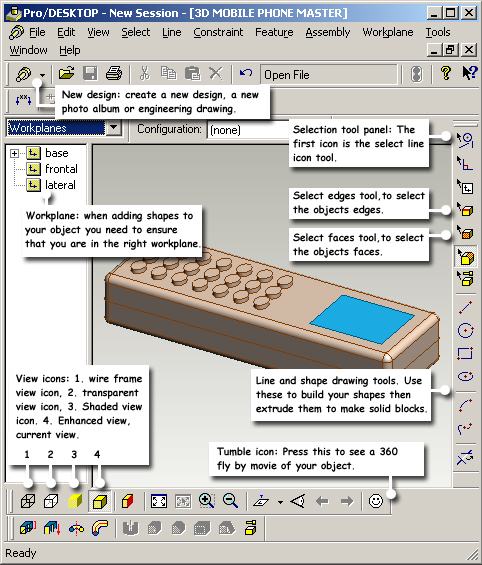 Pro/ENGINEER is the big brother of Pro/DESKTOP and is used in industry for 3D CAD design. 2). 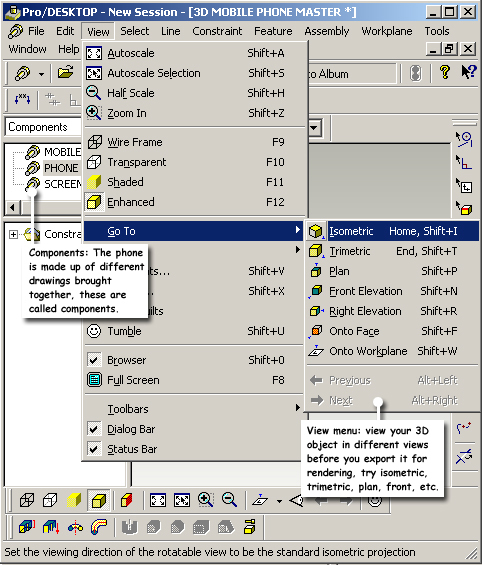 What is Pro/DESKTOP used to do? 4). If you need to do more with Pro/DESKTOP what tool would you move on to?